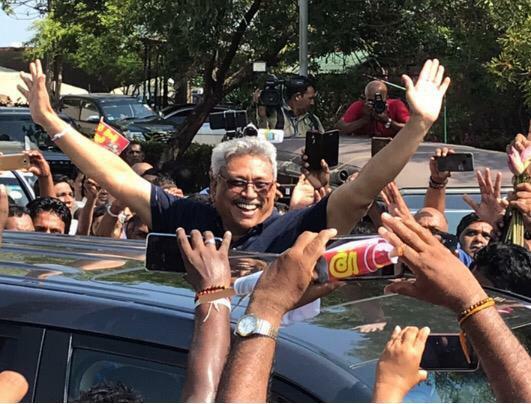 LankaWeb – Gotabaya Rajapaksa receives enthusiastic welcome in Sri Lanka. Unfazed by court cases in US. 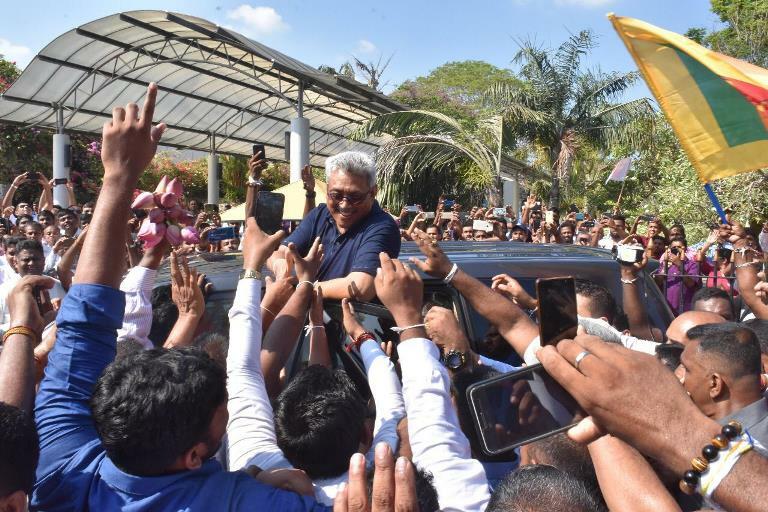 But Gotabaya has dismissed the two lawsuits filed against him as baseless” and insisted that the cases would only motivate him and his supporters to push for political change in Sri Lanka. 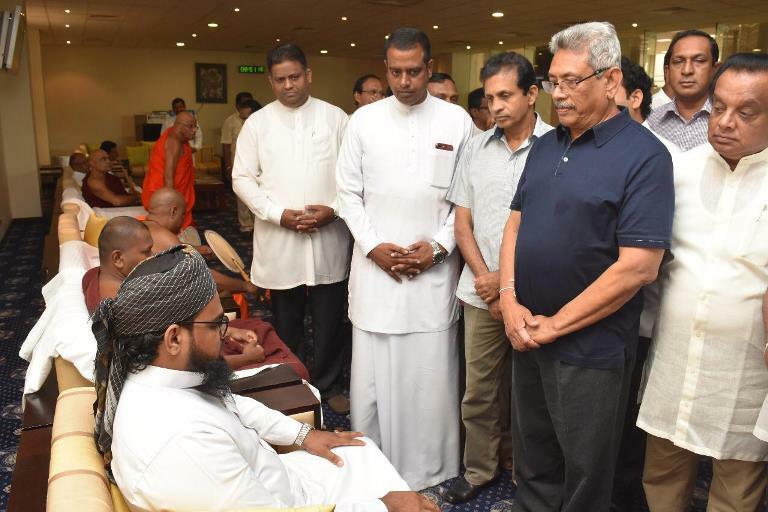 He said that the cases were meant to delay renunciation of US citizenship so that he will not be able to fight the coming Sri Lankan Presidential election. As a dual citizen he cannot contest. Therefore, he had taken steps to renounce US citizenship. 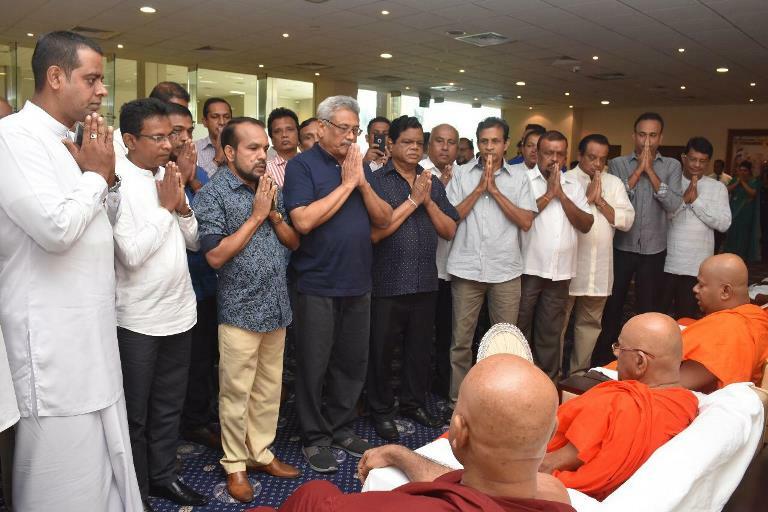 Gotabaya told news persons at the airport that he had completed the formalities in regard to this successfully.